Albert Zugsmith’s shining moment in an amiably disreputable career that nonetheless included producing pix by Sirk, Welles and Jack Arnold. Only Fu Manchu is missing from this hypnotically retrograde yellow peril hallucination starring Vincent Price and half the Asian actors in Hollywood. Amazingly, in 1959 William Castle was originally set to shoot this in color with Miiko Taka, star of Sayonara–in Tokyo! 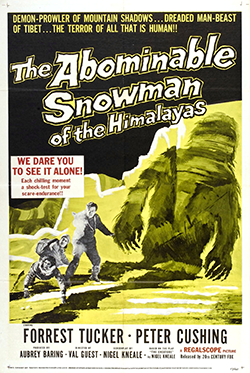 Although Joe laments the home video unavailability of this title in his commentary from several years ago, we’re happy to report that Warner Archive has since issued a stellar transfer that captures all the weirdo beauty of this uniquely odd movie.